Janice knew that look. She hated it. The slightly raised eyebrows, the slightly tilted head and that rather long glare made her feel like disappearing immediately. That accusatory look was not new to her. She never lied. Why should she? But she forgot things, not all, but a few. The ones that she should not forget. The ones that involved those people who were not so understanding. She had also started getting confused more often lately. She had picked her neighbour Claire's kid Adrian from his piano classes last Thursday. And the previous one and the Tuesday before that. It was once a week task, mostly Thursdays, when Claire had to visit her shrink. Janice had offered to help pick Adrian as she was home alone and she knew Claire was going through a lot after her recent divorce. Janice had made a mental note and a reminder note on her fridge: PAT - Pick Adrian on Thursdays. When Claire called her in the morning and asked if she'd be picking Adrian like every week, Janice was more than willing. It was only after Claire rang her doorbell later in the evening and arrived with Adrian, that Janice realised that this week it was supposed to be on Tuesday instead of Thursday. Claire didn't step in and her look followed what Janice feared most. "How could you lie to me like that? You said you'd pick Adrian, didn't you? Just because I refused to join you for shopping this weekend, you'd go to this extent? How could you?" "Claire, I seriously got confused. I thought I had to pick him on Thursday, like most weeks. Did you mention Tuesday over the phone today? I am so sorry, I really can't remember if you did." "Oh now don't give me that nonsense of forgetting things. You didn't forget that I called you this morning. You are a bloody liar." Claire left without giving Janice any chance of clarifying things. Janice didn't try hard either. She was sick of explaining her problem to people. She was sick of her illness. Memory issues and cognitive dysfunction were symptoms of her incurable Fibromyalgia that came with over a dozen more symptoms. She closed the door and entered her kitchen saying to herself, "I am not a liar for God's sake. I forget things." She looked around and tried to remember why she entered the kitchen in the first place. She opened a couple of cabinets but couldn't remember the reason. She opened the fridge and looked at the stuff inside. No clue yet. She closed the fridge and noticed the reminder notes. 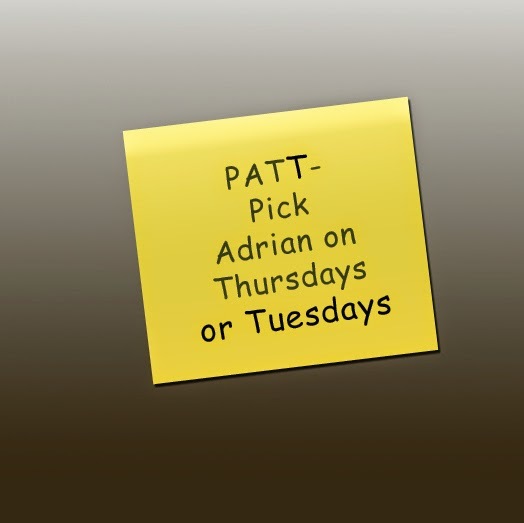 She picked a pen and edited one note: PATT - Pick Adrian on Thursdays or Tuesdays.